USAID Mission Director for Vietnam, Mr. Michael Greene, applauded the implementation of energy simulation measures and the efforts toward energy saving during his visit to the Energy Manager Training Center (ETC) construction site in Hanoi on December 8, 2016. Participants in the tour included Director of the Science, Technology and Environment Department of the Ministry of Construction (MOC) Mr. Le Trung Thanh; Director of the Energy Manager Training Center of Hanoi (ECC) Mr. Dao Hong Thai. Other representatives were from USAID Vietnam, the USAID-funded Vietnam Clean Energy Program, the MOC, the ECC Hanoi, the Vietnam National Construction Consultation Corporation (VNCC) and the Vietnam Institute for Building Materials (VIBM). 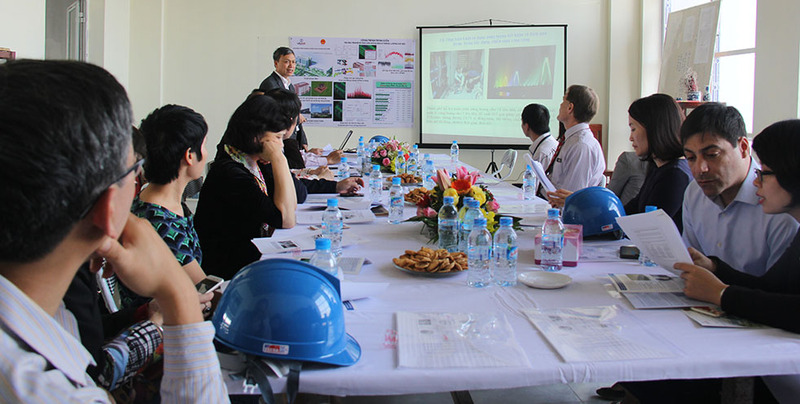 The USAID Vietnam Clean Energy Program started working with the ECC Hanoi to implement the energy demonstration project for the ETC Building in 2014. Using the IESVE building energy simulation software, the Program offered the energy saving measures, including the use of natural ventilation, heat recovery equipment and non-fired brick, without increasing its total investment cost. The solutions will help save 29.2 percent of the center’s total energy operation cost and reduce 71 tons CO2 emission from the original design every year. 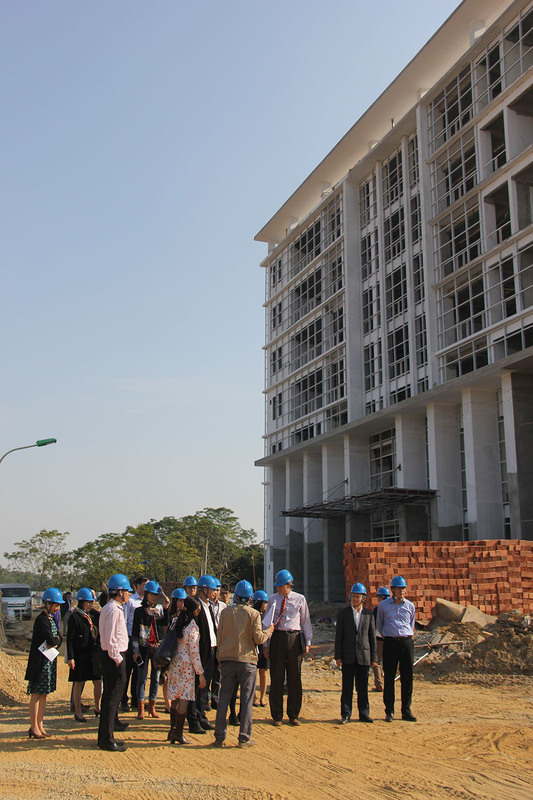 Located at Hoa Lac Hi-tech Park, the ETC building will be operated by the ECC Hanoi when the construction is finished in the second quarter of 2017.